Playbook Round Tables were created with an intention to orchestrate the coordination and exchange of tacit knowledge. Thoughtful Founders acted as facilitators in this sharing of tacit knowledge. We call them Mavens. For them, their contribution to #PlaybookRTs was a labor of love. It is a selfless contribution to making India a Product Nation. Thanks to the Founder Mavens, PlaybookRTs went on to become very successful. The topic coverage grew. However, we were not able to find Founder Mavens for topics like Design Thinking and Inside Sales. We wondered if we should look for Mavens who were not Founders. But we were skeptical if they would be animated by the Product Nation mission. And, even if they were, would they contribute selflessly in a pay-forward manner that the Founder Maven did? Would they sign the Maven Code-of-Ethics? Then we ran into Deepa Bachu. Her commitment to making India a Product Nation was there. Yet we wondered if she would be willing to pay-forward in PlaybookRTs. We knew this was not an easy call to make. After all, it meant forgoing workshop revenue from product startups for the foreseeable future. As we talked, we realized that Deepa’s dilemma wasn’t whether she should make this selfless contribution! Instead, she was worried if the PlaybookRT attendees would value something that was free! This led to a couple of experimental PlaybookRTs. And here we are! Deepa learned that Sometimes Free Is Valuable. And we learned that there are contributors to the product ecosystem who will put the cause before their business. We find that the Practitioner Mavens are as vested in the pay-forward model as Founder Mavens. We cherish and value both of them. With inputs from my colleague Rajan. Whenever I have helped someone I believe their thanks is sincere and heartfelt. Can’t beat that wonderful feeling, so I do my best to make time and pay-forward. Amongst the many that pay-forward, I was really intrigued by the iSPIRT community. A group of best-in-class entrepreneurs (and one could say even, celebrity entrepreneurs) coming together to share their knowledge with fellow and new entrepreneurs. With the hope to share some of my knowledge I started my engagement with iSPIRT running design thinking roundtables. I have had the great fortune of having exceptional mentors teach me what I know about creating solutions that delight customers; design thinking – a mindset and a process to get inspired by customers, focus on trying things quickly and learn as you go to create solutions that will create awesome customer experiences. It was now my time to pay-forward. What started off as a pro-bono effort has brought me to today where I can proudly say that I am amongst the few privileged to be a part of this highly trusted iSPIRT Maven community. Practitioners like me synthesize and create new-knowledge in a specialized field. This, in my case, is in Innovation & Design Thinking. A large part of such specialized human-knowledge, however, is stored as experience. It is tacit knowledge. The more you teach, the more you learn. Your knowledge gets refined almost everyday. So of course I wanted to share my knowledge fully expecting that I will be learning by teaching. I was requested to do it pro-bono and sign into their Maven-code of Ethics which fundamentally is to commit for a pay-it-forward model, not expecting any payback in any form from any participating startups. Do our audience even trust a Practitioner who is providing pro-bono services to be of high-quality, I wondered? We live in a culture where often quality if assessed with price and I wasn’t sure at first what I should expect. However, after just doing a couple of Round Tables I realized that trust is indeed created when people give selflessly in a pay-it-forward model. And, it is this very high degree of trust that allows entrepreneurs who are a part of the roundtables to provide open feedback to practitioners (aka Mavens) like me to continue learning and refining our craft. This is indeed priceless. Add to the this, the satisfaction of working for the cause of building a Product Nation together with many spirited Entrepreneurs. Creating intuitive products used to be enough but not any more. Now customers demand awesome product experiences…the ones that they tell others about. ‘Design awesome’ – we use these words a lot, but what does it mean? And how do you go about it? It’s not about delivering awesome products; it’s about delivering awesome experiences that deliver unexpected delight. Design for Delight is grounded in deep customer empathy, going broad with ideas then narrowing with possible solutions and finally, rapid experimentation with customers. In my earlier article on creating awesome by design, I wrote about the first of three important principles. The first step in design thinking is to understand your customers, identify their pain points and being really specific about the pain point. It’s when you fall in love with the problem and not the solution that a new sense of objectivity comes in. Start with all the pain points you see your customers face. Don’t stop with the first one you see, observe all the pain points. Go broad and identify them all. Then, you narrow down to the pain point that you feel customers really struggle with. The one that you know you can solve well and in a way that you can build durable competitive advantage… one that others will not be able to copy easily. Try this… Give your teams 2-5 minutes to write down their ideas for the problem identified, one idea per post-it. Ask them to read it all out and group them on the board. After you go through them all, throw away all the ideas on the board. You will see everyone’s surprise. If it took a team of folks 2 minutes to come up with the idea, don’t you think others outside your company will do it just as easily? Now, ask them to build on earlier ideas or come up with new ones by combining the earlier ideas. Our first solutions are often our most obvious ones. In fact most brainstorming techniques I use involve throwing away the initial ideas to get to the good ones that will come later. The ones that come later build on earlier ones and tend to be more thoughtful. It is as if we need to flush out the basic solutions before we get to the better and significant ones. As human beings we are genetically predisposed to solving problems. We often jump into the first solution we get and then, fall in love with it. You will be far more successful in delivering awesome if you fall in love with the problem and not the solution. Often, you will have to help teams suspend their judgment and think beyond what is accepted as possible. We call this fodder. Give your teams ideas and analogies they can draw from and discover truly disruptive solutions for solving the customer pain point on hand. For example, when we were thinking about mediums of communication for our product to engage the customers, we thought of Morse codes, pigeons, personal messages, and even telepathy! One good tip would be to ask yourself “what else did we/I look at”, every time you review a solution. Most teams I have worked with only detail out one idea. My magic number is three. I think it is important to explore 3 great solutions (at the very least) and then narrow down to the winning solution. My only rule is that these 3 solutions need to be distinctively different and not just small deviations of each other. If you are having difficulty going broad use this simple 7-to-1 tool. Once you have a number of ideas on the board, the next step is to evaluate them and narrow the focus. Narrow down to the handful of ideas that you think you can really solve well with durable competitive advantage. When you brainstorm, you come up with unique and bizarre ideas from a variety of perspectives, each of them with its own spin and inspiration for the solution. It is easy to discard those but wait, those are probably your most disruptive ideas! Label the axis with criteria that lead to some tension and/or criteria that you would like your ideas to have. Place your ideas written on post-its into the relevant quadrant. The ones that you are interested are often in the top, right quadrant. You can decide that you want to look at multiple criteria and go through several rounds of these 2X2s. You may also decide that you don’t have enough ideas that are say, innovative and look to build on existing ideas so that it will be innovative. Target exercise: Put all your ideas on the target. The idea that solves the pain point best (with your individual or teams’ judgment) in the middle. This is a great exercise for you to involve your (potential) customers and ask them what idea they would think solves their pain point best i.e. what they would use. The discussion to have needs to be around how you can build on many ideas and combine them into one so you can bring it into the center circle. A great example from my awesome journey at Intuit is Fasal. The pain-point that farmers in India faced was not knowing how to get the best price for their produce, nor what markets to go to and when. We conducted several experiments on providing the right information at the right time to the farmers, ranging from eBay-like market places to voice-based systems and text messages for providing market information. The magic number is 3… I always try at least 3 different solutions. Interestingly the solution we then built out is not 1 of the 3 but a new concept that had a few attributes of the 3 ideas we shared with customers. Simplicity and accessibility were very important criteria, and these narrowed our solution to an SMS based platform that provides farmers with reliable and real time wholesale market price. Use go broad to narrow throughout your innovation process, starting with the pain point and ending in the actual building of the solution and support. I hope this article was insightful to you on how to design awesome using the principle of going broad to narrow. Please feel free to share your thoughts and I would love to answer any questions on this topic. 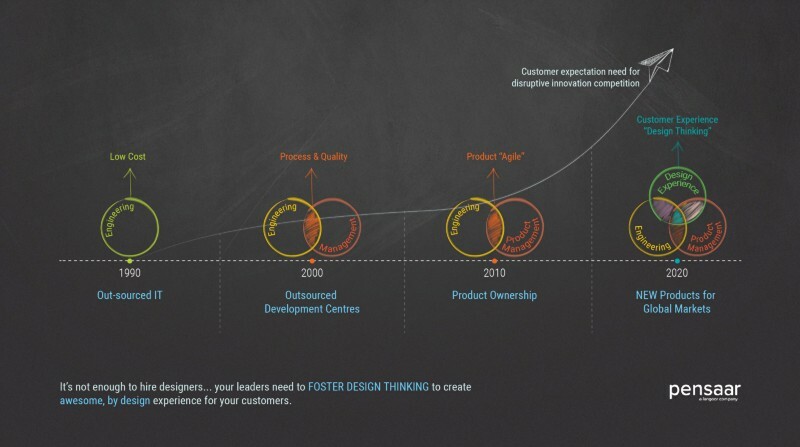 I had the opportunity to attend iSpirit Foundation’s #PNMeetup: Design great products through experiments – Product Leadership Workshop on 20th April 2013 at TLabs in Noida. The Intuit posse had experiences working on a variety of products from the uber-popular Turbo Tax to the socially relevant Fasal and an engaging discussion on their diverse experiences exposed the audience to a wide range of challenges that the Intuit teams faced and the teams’ approach to overcome these challenges. Many an aspiring entrepreneur has been flummoxed with multiple questions vis-à-vis product development, not limited to prioritizing features, costs, and release cycles and the Intuit team cleared a lot of misconceptions around commonly accepted best-process with their highly structured product management approach. Intuit’s product management model is largely based around the hypotheses driven approach that, in addition to software development, is the bedrock for business decision-making from optimizing scientific discoveries to underpinning most strategy consulting engagements. We were walked through a detailed explanation of the Intuit way and were then led to put our newfound knowledge to task with an actual exercise on the streets. The hour spent on the streets by 25 eager entrepreneurs, braving the Noida summer-heat led to the thread baring of multiple, seemingly unambiguous truths about how we thought about product research, design, and development. The interesting aspect of the exercise was that that like many frameworks, the Intuit approach brought out its share of naysayers and skeptics among the assembled audience but the healthy discussion that followed enabled multiple perspectives to heard and discussed. As a startup-CEO at Studycopter, managing the product development process is an integral part of what I do, day in and day out. Sharing of notes and perspectives with fellow CEOs and product managers was a unique opportunity for me to test my assumptions and build a new way of looking at problems and coming up with solutions. I can write with a reasonable degree of certainty that all participants would share my thoughts about the utility of the aforementioned session and moving forward, I look forward to the Studycopter team and I participating in multiple such meetups to build the intellectual rigor that would be critical in delivering breakthrough product experiences for our customers. Guest Post by Adi Jain, Founder and Chief Awesomeness Officer at Studycopter, a mobile + online learning platform to enable students to get their best possible scores in competitive exams such as the GMAT and GRE.